Microsoft Outlook emails are tend to amass in the mailbox and search of required information through the email history becomes very problematic. 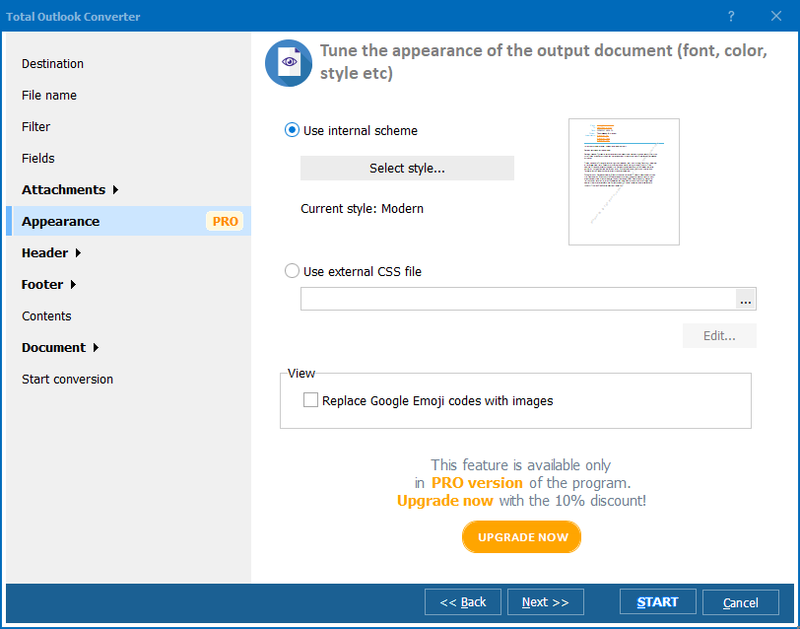 This problem is easily solved by Total Outlook Converter that can turn your emails into a single PDF file that can be stored locally and used whenever you need. In such a way the mailbox is freed from excess of data that is not deleted but backed up. Even attachments will be copied locally. This email converter easily synchronizes to your mailbox by opening the PST file where all your emails are stored and updated. 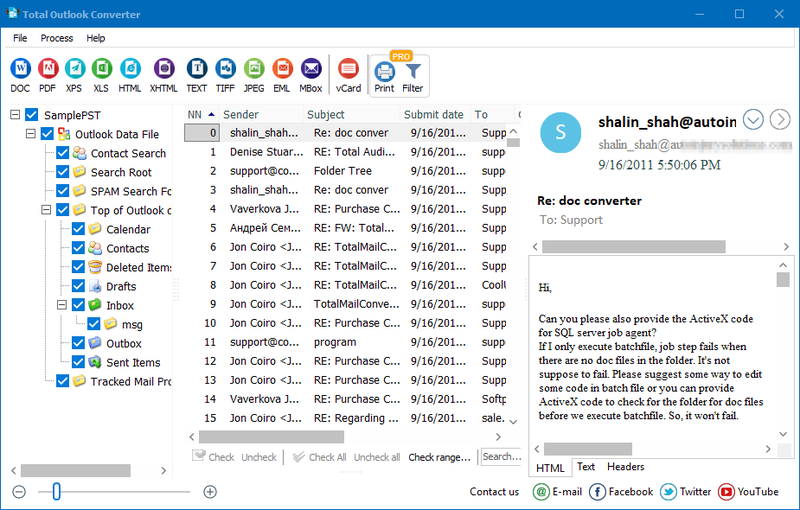 The interface is very similar to Outlook client: the mailbox folder tree is on the left, the list of messages is in the centre. The right hand panel is message viewer. 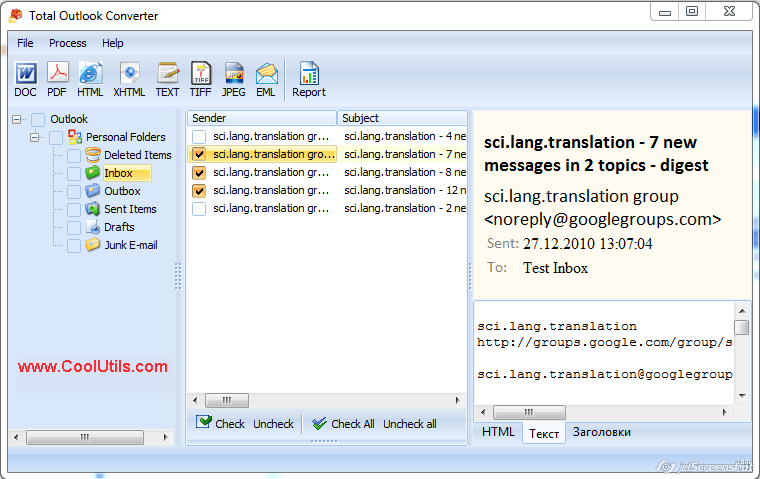 The converter supports batch export option that means you can export as many messages as you want at a time. All emails you need to convert should be ticked off in the message list. Then, if you need to export Outlook to PDF, click on ‘PDF’ in the upper format bar. You will be offered to set specific destination for the future message copies. 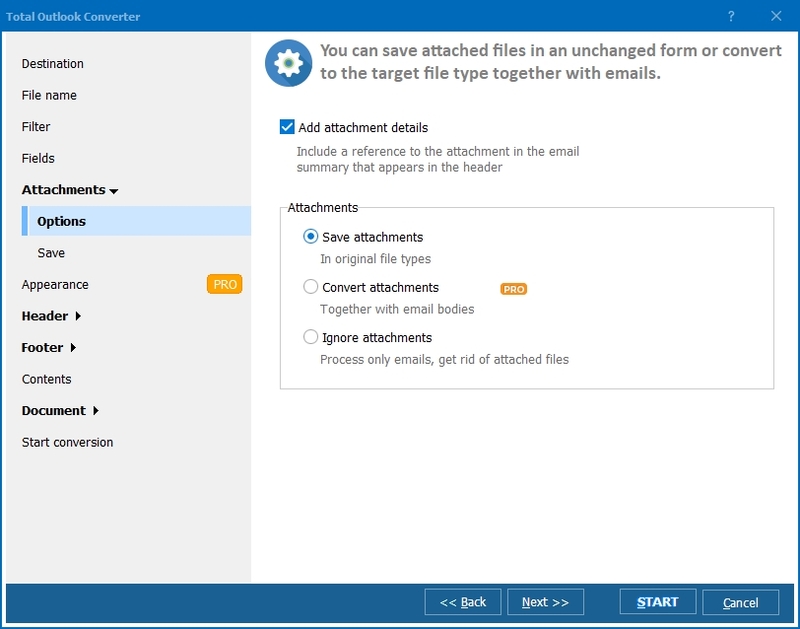 If there are a few emails in batch, there will be an option to combine all of them into one PDF file. The program also offers to set a range of fields that should be converted. In such a way if something important is stored in attachments, you can always convert this information together with emails. There is also an ability to save attachments in a separate folder. 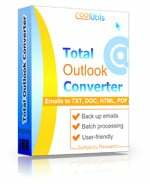 Trying Total Outlook Converter free trial you will feel its usefulness and simplicity, download it right now!